Seriously, you should vote. If just so you can say this. 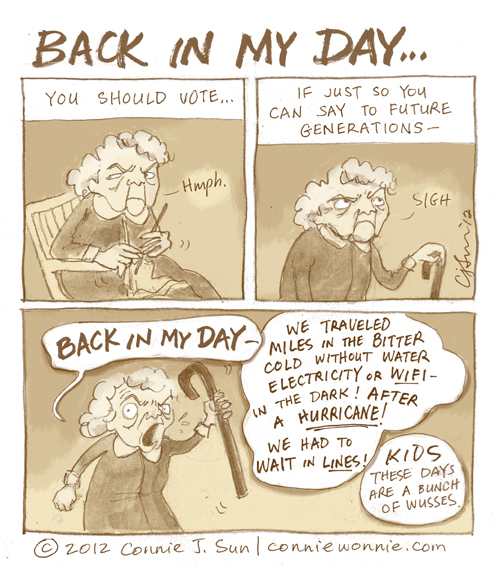 Today's cartoon is for all the super trouper citizens who waited in lines - who stuck it out - who found a way to vote. Rock.